New York’s Westchester County, home to the wealthy suburbs of Scarsdale and Bronxville, lost its AAA grade from S&P Global Ratings and Fitch Ratings after drawing down its cash reserves to cover retroactive raises given to government employees. The county, which borders New York City to the north, had its grade cut one level by both companies Tuesday to AA+. S&P said there’s a one-in-three chance that it will downgrade the county’s bonds again in the next two years as the government contends with budget shortfalls, given how “narrow” its reserves were at the end of the 2017 fiscal year. The downgrades came ahead of the county’s planned auction of $200 million of general-obligation bonds on Thursday. “We remain concerned over the county’s ability to sustainably align revenue and expenditures and rebuild reserves to a level consistent with that of similarly rated or higher-rated peers,” said S&P analyst Nora Wittstruck. Westchester’s general fund balance could fall to less than 4 percent of spending at the close of fiscal 2018, about half the level of reserves the county had previously maintained, S&P said. The new federal limit on deductions for state and local taxes and mortgage interest could further strain the county’s budget. That cap could make it harder for residents who pay the the highest property taxes in the U.S. to sell their homes, while others could challenge their real-estate tax assessments, potentially weakening Westchester’s biggest source of income. Westchester is New York’s third-wealthiest county by median family income, after Nassau and Putnam and has the second-highest per-capita income after Manhattan. The county’s new executive, George Latimer, has proposed selling parking lots in White Plains to plug a $22 million hole in his 2019 spending plan, according to the Journal News. If the parking lot sale falls through, the county would have to cut spending, raise property taxes above the planned 2 percent increase or tap reserves again. The county’s $1.94 billion proposed budget includes $453 million in sales-tax revenue, 5 percent more than the year end-estimate of fiscal 2018, based on the expectation that the state will allow collections on Internet purchases. “We believe the revenue forecast assumes a couple of significant risks,” Wittstruck said. In a statement, Latimer said the downgrades weren’t a surprise. This entry was posted in Pound Ridge, Westchester NY and tagged Pound Ridge NY Homes, Pound Ridge NY Real Estate, Westchester NY Homes, Westchester NY Homes for Sale on December 4, 2018 by Robert Paul. Over the next few months I will discuss with you the topic of off-grid solar systems. The impetus of developing these articles centers around the growing trend of individuals who desire to become less dependent on their utility grid. Do I want my home to be completely off-grid or do I want the ability to have grid power should the need arise? I have already installed a grid-tied PV system on my home, can I use my existing system and still have the ability to go off-grid? I’m not sure I’m ready to invest in a battery based system; however, I would like to plan on adding that to my future or existing PV system. What options are there for me? Now that you have started to think about these questions and which of these applies mostly to your situation we can begin to understand how these relate to the different types of off-grid PV systems. There are a few basic types of off-grid systems to consider when evaluating the prospect of taking your home off-grid. The types of systems are; PV-Direct, Off-grid and Hybrid. Each of these types have different attributes that define what they are able to do. Each serves a specific purpose and is chosen by the needs that you require. The PV-Direct system is this simplest of all off-grid systems. It contains the least amount of equipment and is therefore less costly than other off-grid systems types. Essentially the only components that are required are PV modules, disconnects/fuses/breakers, and the load. The PV-Direct systems are a good consideration if you have devices which are DC powered and are remote. These could be well-pumps, dc-fan motors or any other DC powered device. The limitations to these systems are that they can only be powered when the solar resource is available. This makes them unsuitable for an off-grid home, but can still be considered if your off-grid home is remote and you have a well-pump or perhaps a greenhouse which requires ventilation. The next type of systems is the Off-grid system. This is the most commonly thought of because it describes a home which is completely isolated from the utility grid by choice or necessity. These systems contain more components than the PV-Direct system and by extension more energy usability because one of the primary components is energy storage (batteries). Before I go further, I want to mention here that there are two types of systems that can be considered in an off-grid system. Those may be either DC coupled or AC coupled. I will cover both of these system types in more detail in a later article to help further explain the advantages of each and when they should be employed. Off-grid systems are most common for homes that are in remote locations or in areas that are too far from a utility service where the cost of running utility service would be cost prohibitive. These circumstances are where off-grid PV systems are a great option to consider when traditionally you would need to rely on some type of fossil fuel or natural gas commodity to run a generator, which can be expensive and not environmentally friendly. The main components of an off-grid system are the PV modules, charge controller, battery bank, battery management, DC/AC inverter and electrical safety equipment. You can also consider adding or keeping the aforementioned generator if the loads you wish to power require that extra boost, your batteries need an extra charge or you are really conservative and would like to have it just in-case. This entry was posted in Lewisboro, Waccabuc NY, Westchester NY and tagged Lewisboro Luxury Homes, Waccabuc Homes for Sale, Westchester NY Homes on September 24, 2014 by Robert Paul. Eastern Massachusetts appears headed toward another housing boom that could turn out bigger than the last one as frenzied real estate activity near Boston begins to spread to outer suburbs and beyond, economists and housing specialists say. The projection is based on trends in communities that historically have led the region’s housing market, particularly Cambridge. The red hot market there has already pushed the median price 30 percent above the pre-recession peak and housing specialists say it’s only a matter of time before other cities and towns follow. The Cambridge housing market has become so hot over the past 18 months that buyers are paying an average of 4 percent above the asking prices of sellers, according to data compiled by CoStar. By comparison, sale prices in Cambridge never exceeded average asking prices during the last decade’s housing boom — or the housing boom that accompanied the dot-com era of the 1990s, data shows. Homes for sale in Cambridge now last only about eight days on the market before they’re snapped up by buyers, compared to the norm of 50 to 70 days during the last housing boom, according to CoStar. Even at the very peak of last decade’s housing frenzy, Cambridge homes still took more than a month to sell on average. This entry was posted in North Salem, Westchester NY and tagged North Salem Homes, North Salem Luxury Real Estate, North Salem NY Homes, Westchester NY Homes on May 21, 2014 by Robert Paul. This entry was posted in Katonah, Lewisboro and tagged Katonah Homes for Sale, Katonah NY Homes, Lewisboro Luxury Homes, Lewisboro Real Estate, Westchester NY Homes on May 13, 2014 by Robert Paul. SALE: $4.00 OFF per pound! Headed to the city soon? Larchmont, Rye, Croton-on-Hudson, and Piermont. These openings are earlier than in years past, and to celebrate the timing with Mother’s Day, we’re hosting “Make Mom a Card!” events at the markets. We’ll have great music, too. Visit the Down to Earth Markets Calendar for full details. See you there. and follow us on Twitter @DowntoEarthMkts. 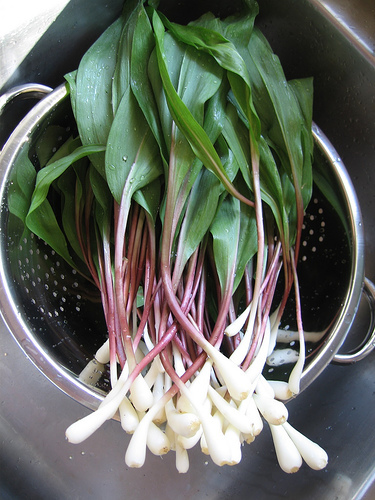 Welcome Back, Wild Ramps. Sure is Nice to See You. And our first guest has arrived. 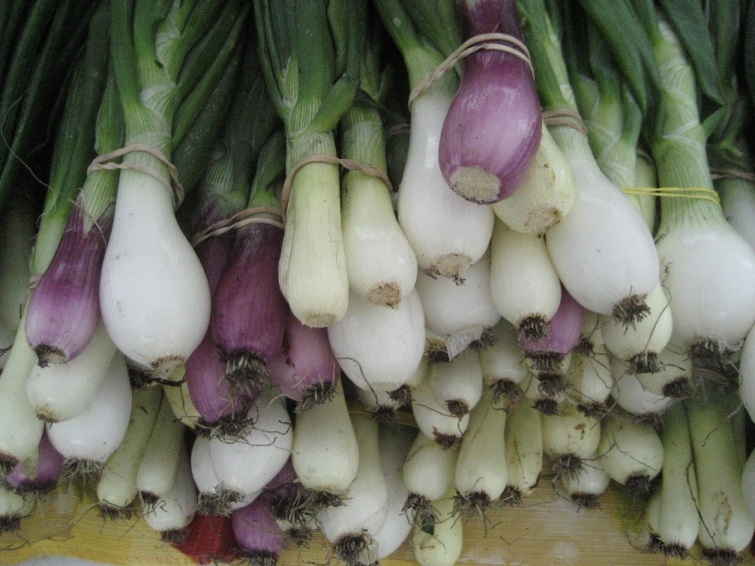 This week, Tom Warren of Stone & Thistle Farm wrote in with the news that he’ll have ramps at our farmers markets this weekend. It will be the first time in 2014. After a long, frigid winter, the Earth is opening back up. Lucky for us in the Northeast, we’ve got quite a bit of this landscape. Ramps usher in our spring. As they set the table, shortly the other guests will arrive: asparagus, nettles, fiddleheads, and garlic scapes. In most cases, these are foods from the wild. Our farmers markets are stocked by Mother Nature, as local growers and foragers bring what is available from around here, at this time. When we eat seasonally, we get to connect with nature’s rhythm — to cherish its limited editions. We say this not in an overly precious way, but rather to celebrate what we are all given by nature. The first foods of spring are full of vibrant colors and tastes that will only be here for a short while. And that’s reason to party. ​Whisk together the juice, cayenne pepper, and yolk in a mixing bowl. While whisking, slowly drizzle in 1/2 cup oil until sauce is emulsified; stir in ramps. Season with salt and pepper, and set aside. Enjoy. Note: The wild foods, such as ramps, offered at Down to Earth Farmers Markets are thoughtfully foraged. In the name of a good thing, the foods are collected in a way that ensures future harvests. If you have any questions about the process, ask your favorite vendor. This entry was posted in Cross River NY, Lewisboro, Westchester NY and tagged Cross River, Cross river NY Luxury Homes for Sale, Lewisboro Luxury Homes, Westchester NY Homes on April 24, 2014 by Robert Paul. I’m often asked whether it’s better to prepay a mortgage or invest the difference. But you’ve put a fresh twist on it: You already know you want to pay off your mortgage early and are just looking for the best way to do that. With that goal in mind, you need to consider your own level of financial literacy and comfort with investing. Putting money into your home is a simple and safe investment. You will effectively “earn” your net interest rate. So, if your mortgage interest rate is 4.5 percent, and you don’t itemize your deductions, every dollar you prepay earns an effective interest rate of 4.5 percent – a lot better than you’ll do if you keep the cash in a savings account. The nice thing is you won’t lose any money on this investment. It’s risk-free. And you’ll be building equity in your home. Paying off your mortgage by the time you retire means you’ll reduce your living expenses just as your income is potentially diminishing. This entry was posted in Waccabuc NY, Westchester NY and tagged Waccabuc Homes for Sale, Westchester NY Homes on March 6, 2014 by Robert Paul. This entry was posted in North Salem, Westchester NY and tagged North Salem, North Salem Homes for Sale, North Salem NY Real Estate, Westchester NY Homes on February 3, 2014 by Robert Paul. Outlays for U.S. construction projects rose 0.1% in December to a seasonally adjusted annual rate $930.5 billion, led by private projects, the U.S. Commerce Department reported Monday. Economists polled by MarketWatch had expected a 0.4% increase in December. Private-construction spending rose 1% in December, with a 2.6% increase for residential projects and a 0.7% decline for nonresidential projects. Meanwhile, public-construction spending fell 2.3% in December. This entry was posted in Bedford and tagged Bedford NY, Bedford NY Homes, bedford ny homes for sale, Bedford NY Real Estate for sale, Westchester NY Homes on February 3, 2014 by Robert Paul. Home prices in November fell slightly for the first time since November 2012, as the combination of price gains earlier in 2013 and higher mortgage rates caused prices to reach a plateau, according to a leading index of housing-market activity. The Standard & Poor’s Case-Shiller index of home prices in 20 top cities fell 0.1% in November. A separate 10-city index also fell by 0.1%, Standard & Poor’s/Dow Jones Indices said in a statement. The 20-city index showed prices 13.8% higher than a year earlier, while the 10-city index rose 13.7%. The company said the dip is not a reversal of the housing recovery. Prices typically dip in November and this performance was the best for any November since 2005. Seasonally adjusted, prices rose 0.9% in November. 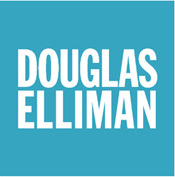 This entry was posted in Chappaqua, Westchester NY and tagged Chappaqua Luxury Real Estate, Chappaqua NY Real Estate, Westchester NY Homes on January 31, 2014 by Robert Paul.